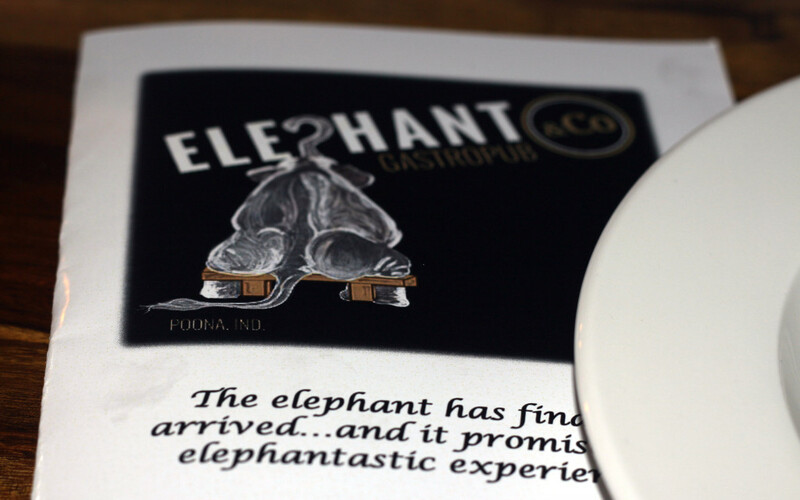 It’s been less than a month Elephant & Co. Gastropub has opened its doors and is a welcome addition in the ever expanding food scenario of Pune. The restaurant has both indoor and outdoor seating. The outdoor seating includes the bar counter and is quite big and sufficient space between each table so it doesn’t feel cramped, it is dimly lit to along with the pub ambiance and Live Music Bands on designated days add to the fervour of the ideal settings to let your hair down. They also have an indoor seating with AC especially for non smokers. 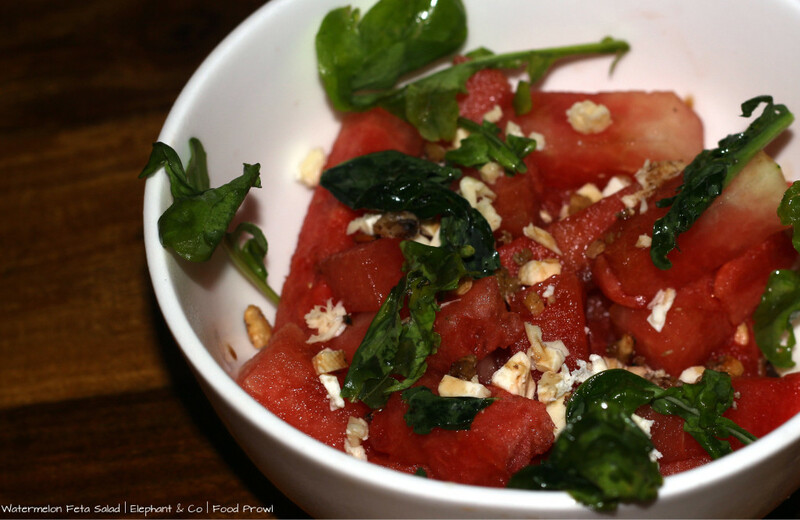 All cocktails and dishes have unique variations, ones that you would expect at a Gastropub. Since these are quite different that the normal run of the mill that are available at most places, it is advisable to discuss with the staff prior to ordering on what would be concoction of each item you order. 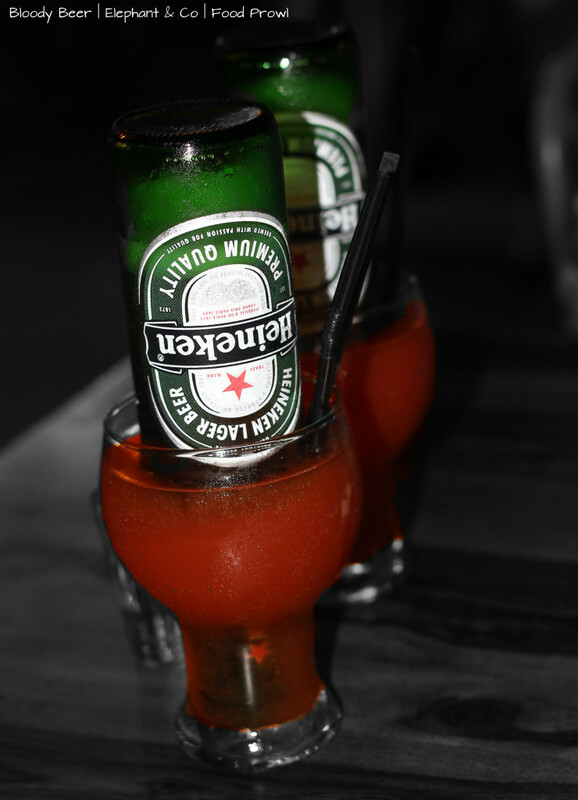 To the bartender you can mention your mood and kinda flavors you want on the particular night and he will surely make the evening interesting for you. Being a single malt person I wanted something to suit the weather and feel refreshing, and I was recommended ‘Walkers Walk’ that had a premium scotch blended with Darjeeling Tea and Orange zest, very much matching my expectation. 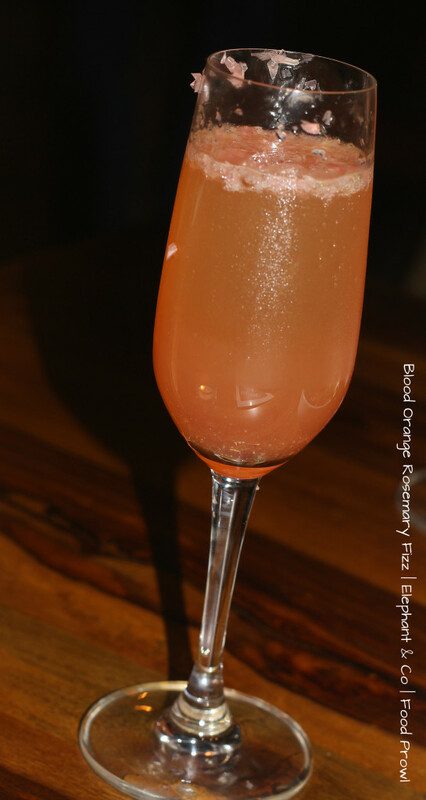 Blood Orange Rosemary Fizz a grapefruit juice sweetened sparkling champagne cocktail, nice peppy flavors is recommended as well and the traditional Bloody Mary has a slightly different version known as the Bloody Beer, Vodka being replaced by an upside down Beer bottle. 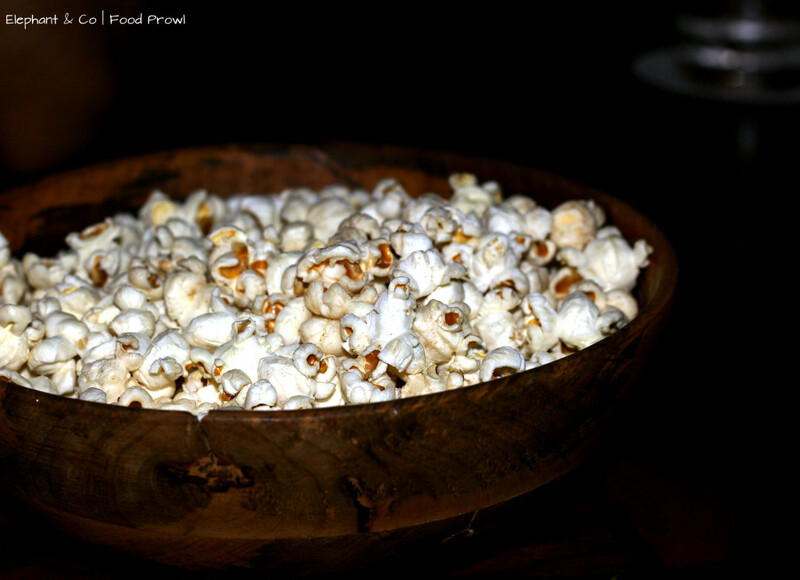 In regards to the food, firstly serving Popcorn as soon as you are seated is truly appreciable, you can munch on them while waiting for your order. The menu has rather interesting options to choose from – Sweet Potato Fries and Pesto Sriracha Fries to begin with are very nice pub sides. 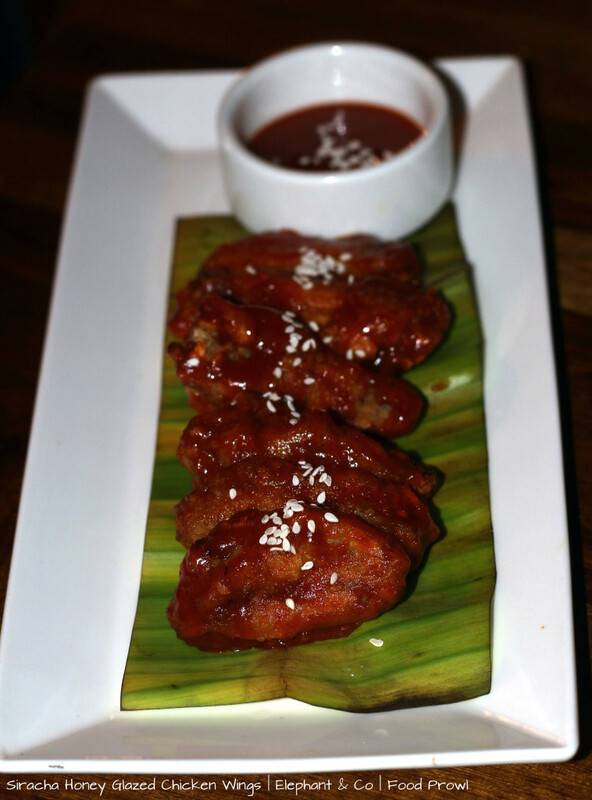 From all that we tried, I am surely going back for Siracha Chicken Wings – spicy, sticky, Crispy skin, perfect, make a great accompaniment to the drinks. Yakitori Chicken Skewers are very succulent bite sized chicken pieces in a yummy Yakitori sauce. They have small and large plate options for single portion meals, we absolutely loved the Pandi Pita, a dish from Southern India which was very very tender pork in a super yummy peppery thick sauce. The variation is being served with Pita bread instead of rice. 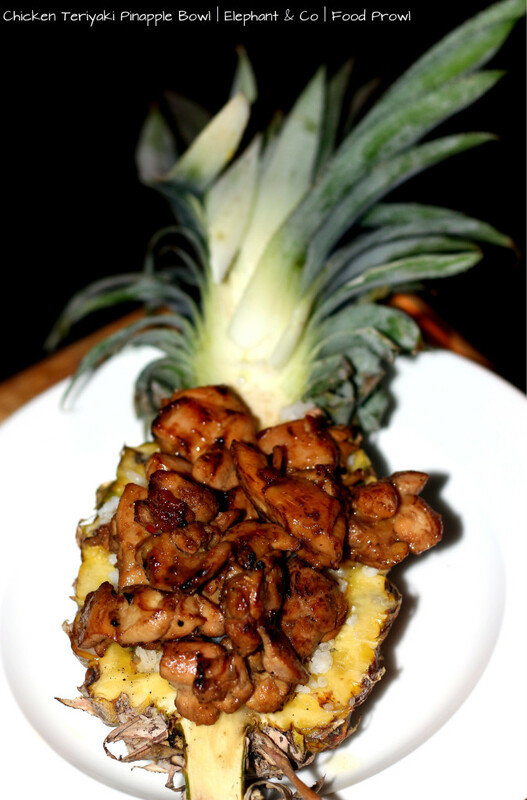 Next was Chicken Teriyaki Pineapple bowl, served in half pineapple as a bowl base of Basil Rice and Teriyaki Chicken with a Pineapple glaze served flambé style. 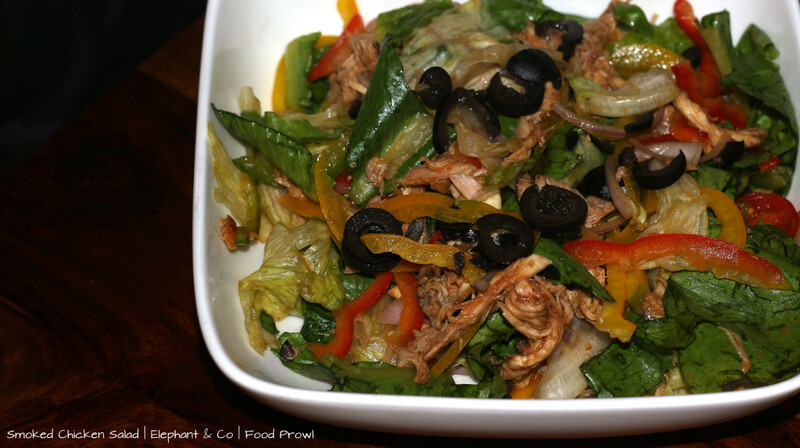 Slow Cooked Chicken is actually cooked for 7 hours and was every bit melting and delicious, a must try. 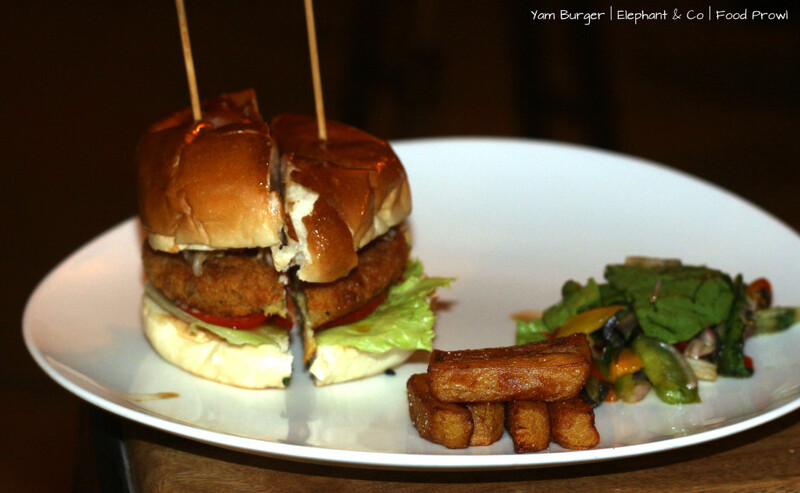 The Yam Burger was also interesting option in mains, it’s a good pick for vegetarians. Another very interesting Vegetarian option was Dal Chawal Aranchini, yes you read it right! 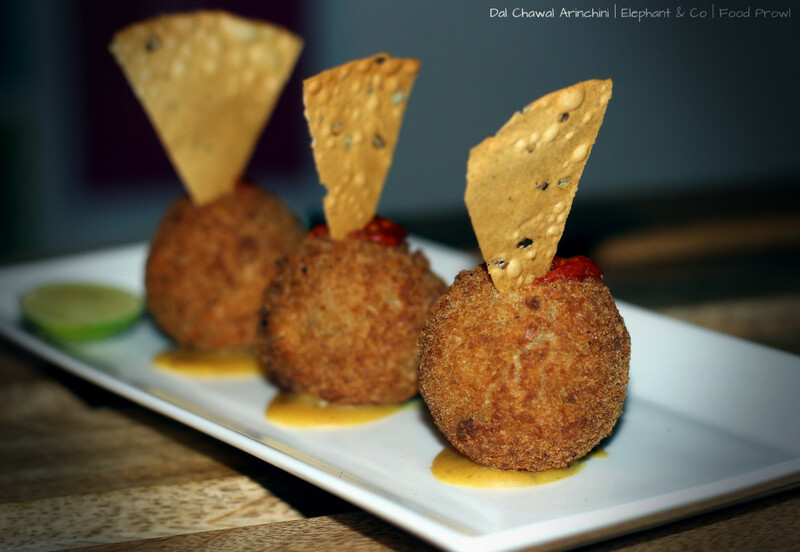 Stuffed with Dal Chawal like Italian Risotto to make Cheese mixed deep fried balls that were served with Lemon Pickle and Garlic Papad. Not to forget they have Bhoot Jolokia dip to accompany some starters, Ooh! this one burns and if you are looking for that extraordinary level of chilly heat do try it but only recommended to anyone who has a strong liking for chillies. 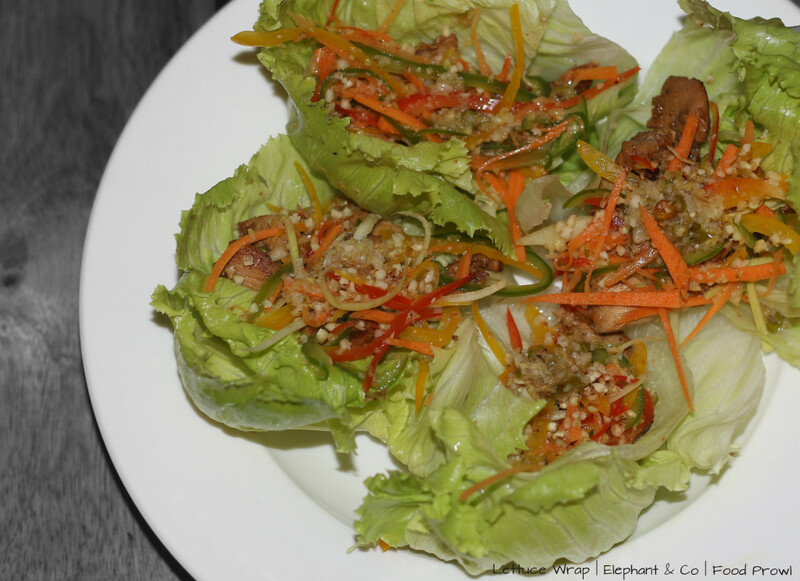 Salad lovers can try the Grilled Chicken Salad. They also have this humongous Spicy Chicken Sub which does well to counter your hunger pangs. 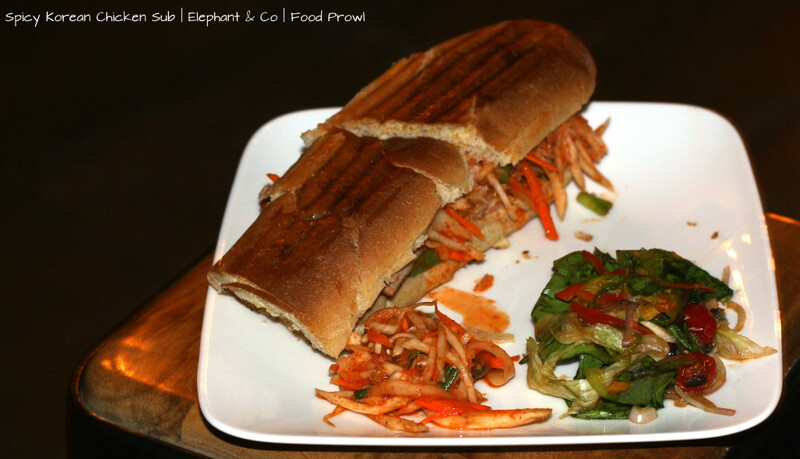 Overall Elephant & Co. Gastrobar has something new to offer to the people of Pune and a visit is must recommended. 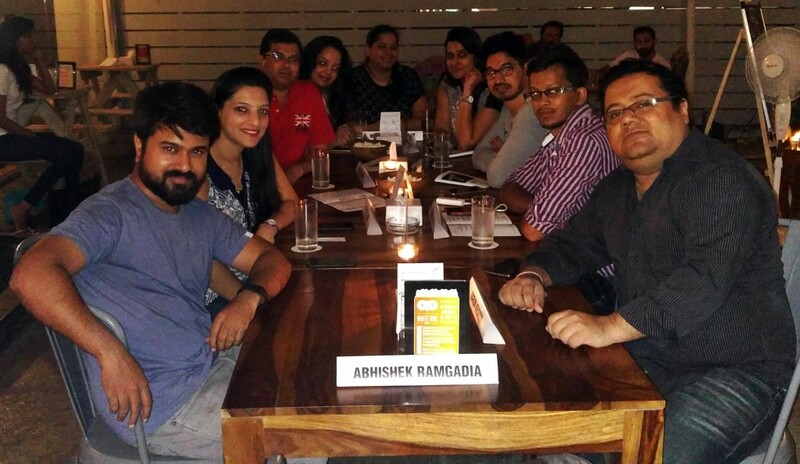 Karan Khilnani, one of the partners of the pub is a very friendly host and is absolutely gracious in accepting feedback from customers. His positive approach and earnestness to take feedback in the right spirit itself earns this place a whole lot of brownie points. So what are you waiting for? Go, Chill out folks!